The discussion was introduced with a collage of different comments in deletion discussions read by several readers and supported by slides with information to the users and some explanations. Nice idea! The debate started with statements by the guests. Kurt and Mathias firstly introduced themselves and gave some introductory sentences. Tim primarily introduced his ideas of which the Levitation project grew. Martin then explained what free knowledge his and analyzed Wikipedia for it. His main point of criticism was that deleted articles cannot be accessed which offends the criteria of availability. The whole debate was as i experienced driven by emotions on one side, but also based on certain assumptions on user and (potential) contributor behaviour. I also got the impression it is not clear what Wikipedia shall be and what the overall aim is. Thus neither the position of Kurt nor Mathias convinced me in any way. And though his explanations were not worse than Mathias', Kurt especially became disagreeable to me, because of his body language, which i interpreted as feeling superior and blocking arguments. The were loads of contributions from the auditorium, many complaints, some proposals and too little time. There are many many aspects that need to be adressed and therefore it was unfortunate that the debate itself was not target-oriented enough, but rather borderless. So yes, a lot of opinions have been exchanged, but in the end you cannot be really satisfied. Audrey explained in a pictured way very well, how defect or damaged devices as photo cameras but also films cannot only produce great art, but also push forward technology. This was very so in the beginning of photography with what she started her presentation. During the lecture she showed various shots by different photographers and hers which illustrated what you can achieve with borked things. So there were pictures of a digital camera which fall in a pond before, but also that of rumpled films and what not. And for both past and future the slides were stuffed with this and that so i cannot remember all of them, and as there will be recordings in both german and english i just recommend to download and view them as soon as they are available. Of course this forecast is given in an amusing way, because this matters are too serious to mention them sternly. 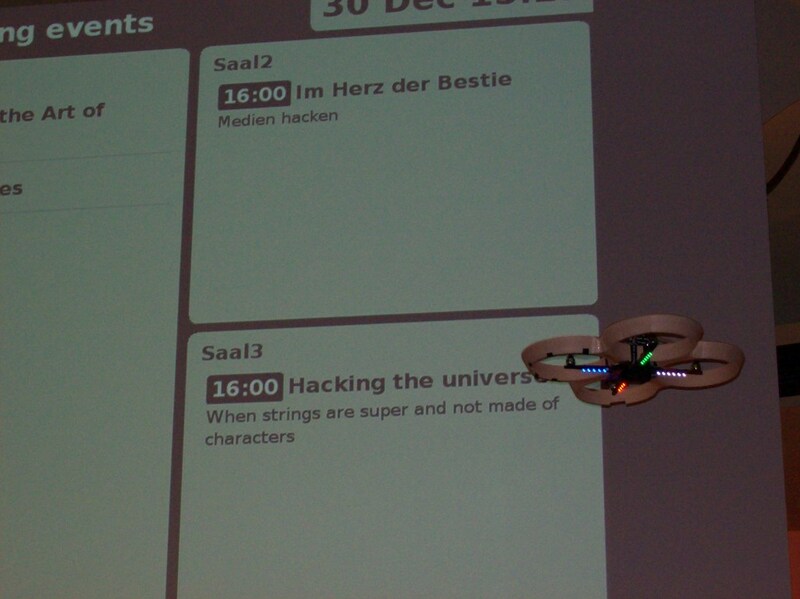 Sad sad, but 26C3 heads to its end. However, the final act was done very well, too. Besides acknowledgements to helpers (all done voluntarily) and partners, there was a report of the network guy with vigorous figures and facts. Indeed, after some trouble at the start the streams went pretty well and WLan worked mostly good and stable while thousands of devices were connected at the same time. Remarkable is also the consumed amount of bottles of Mate of 11,000. Cheers! It was said or estimated that over 9,000 people were following 26C3 either being there or watching streams in various locations or homes. The downside was that some visitors got no tickets, since the congress was sold out. Unfortunately, the fantastic building has limitations in terms of number of people finding place there. The CCC is going to think about how that problem can be solved. Personally, I liked this years Chaos Communication Congress very much, i heard most interesting talks on a wide variety of subjects with mostly good speakers and groovy folks.